I am excited to show off my version of the Bear Tracks quilt top! I ended up having a lot of trouble adhering to the layout in the pattern because I am working with five different fabrics and only three different basic colors. So I did diagonal stripes of each color and mixed in some unpieced squares around the edges. I don't have enough fabric to do the borders (I don't think) so I will be working on getting this quilted this weekend! Then it will be sent off to a sweet little lady named Penny! Spring Splendor Pattern Premiere and Giveaway! After a long fashion, Spring Splendor is FINALLY in pattern form! Amanda designed this quilt using a fat quarter bundle of Joel Dewberry's Botanique line and turned it into a gorgeous queen sized quilt perfect for spring! 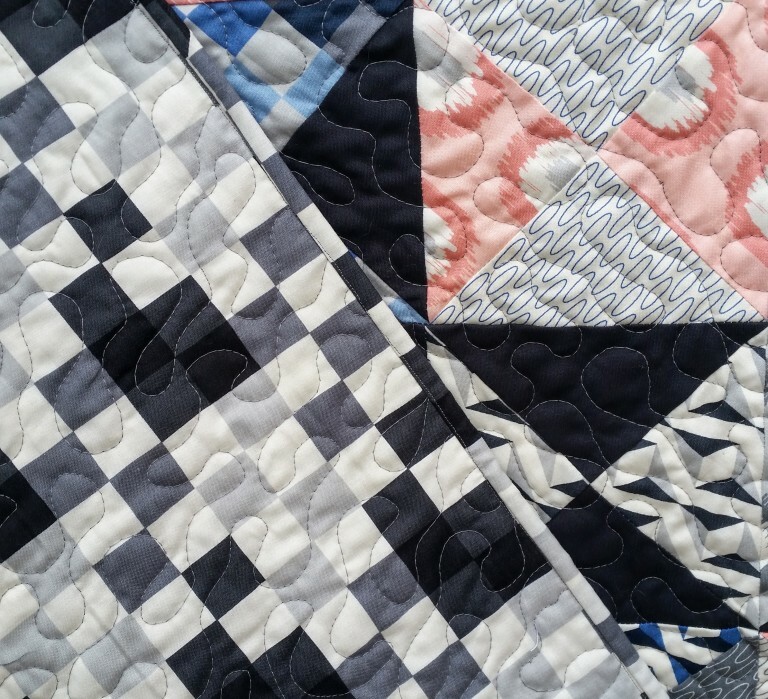 The main technique used in this quilt is stitch and flip triangles -- if you are an advanced beginner or intermediate quilter, this quilt should be a piece of cake! One nice aspect of this design is that it works well with larger scale prints -- I love being able to highlight some of the gorgeous large scale prints on the shelves! Want to win your own copy of Spring Splendor? Leave a comment below with what the Easter Bunny brought you! Want to get your own copy NOW? 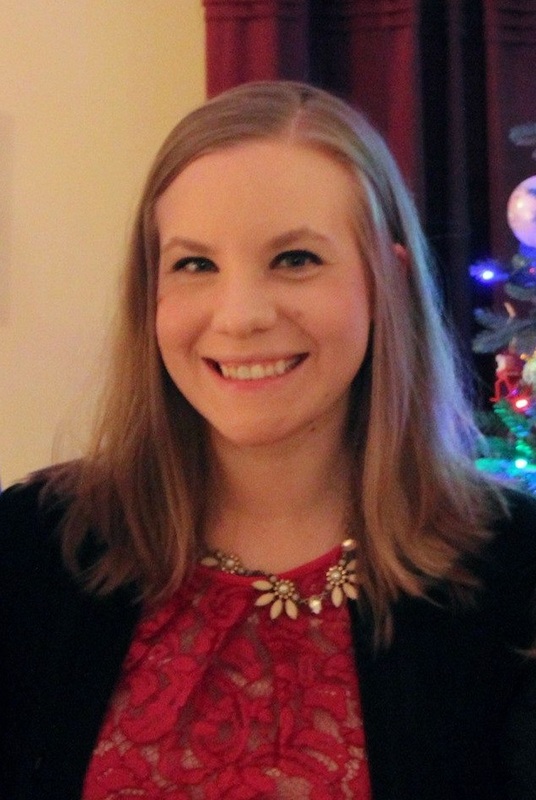 Update: Our winner is Diana! Check out Alison's baby sized version of this pattern made with Island Batik fabrics! 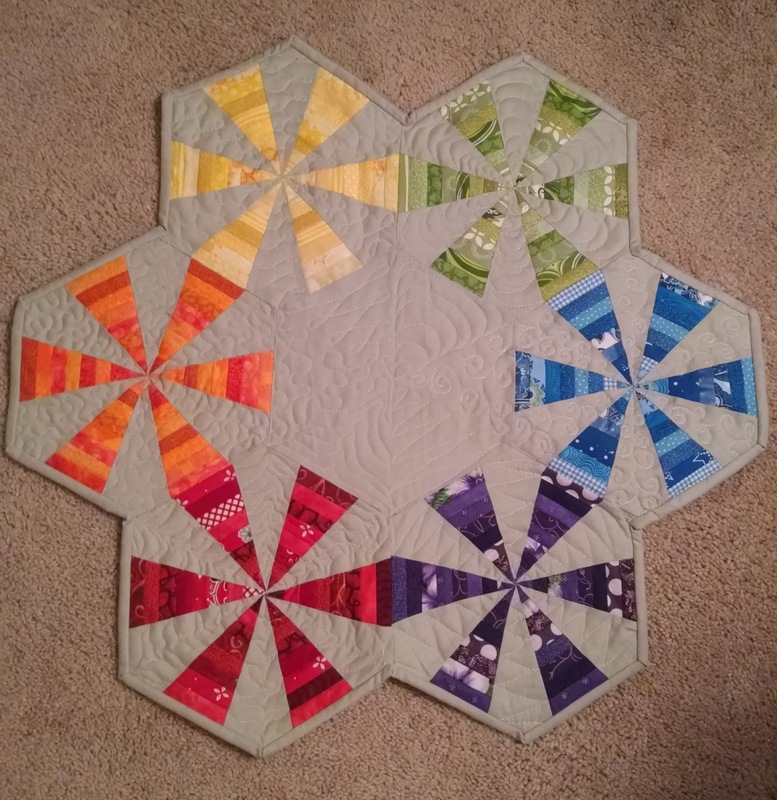 This month in the Stash Bee, our Queen Bee was Robin and she requested these really neat modern scrappy blocks. I love that she included her drawing of the block in her post! Since I'm already done with my Rainbow Scrap Challenge blocks for the month, I figured I needed to continue to bust scraps, so I made Robin three blocks! I pulled out my stash of 2.5 inch squares and the leftover 2.5 inch strips from last month's Stash Bee block. It makes it so much easier to already have scraps in the right size ready to go! Since I have found that lots of people request low volume backgrounds in the Stash Bee, I have a old makeup bag filled with my low volume scraps so that they are always at the ready. Unfortunately, I am getting very low and my scraps are getting too small to work with unless I was doing some small paper piecing. Looks like I might have to go shipping! 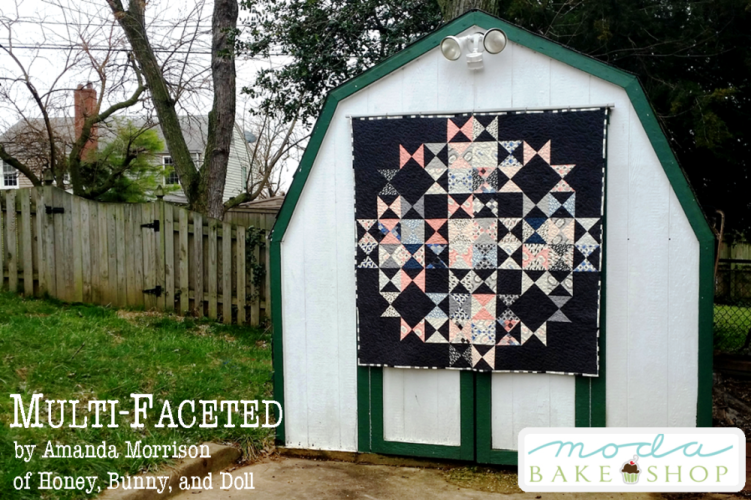 Multi-Faceted is on Moda Bake Shop! If you follow me on Instagram, you might have seen some sneak peaks of a quilt that I was quilting for my sister, Amanda. It's all finished and up on Moda Bake Shop! This is a fun quarter-square triangle block quilt that uses two print charm packs, one solid charm pack, and a little bit of yardage. 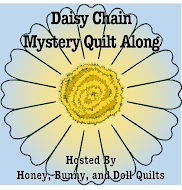 It finishes at 55 inches square so it is a great little throw or really big baby quilt. I quilted this with a pattern I would describe as a "directional meander" -- the meanders are essentially layered on top of one another and travel diagonally across the quilt. I quilted it with a medium grey thread that is about the same color as the grey ovals in the fabric in the top right corner in the close up picture. The binding is the same fabric as the backing, which is one of the largest scale prints in the collection. Sharing at Fabric Tuesday and Sew Cute Tuesday! I'm so excited to share the finished mini quilt that I made as a part of the Rainbow Mini Swap -- Round 2 on Instagram! I was very excited to make this because my partner was one of my hive mates in the Stash Bee last year! I didn't remember to get a picture of the back or of the goodies that I sent either -- boo! Jackie was very excited about them though. The binding was a little bit tough especially with the inner corners, but it turned out really well! I put hanging pockets on the back as well. And here is the mini that I received, made by Briawna of Purple Poppy Quilts! Isn't this just gorgeous? I am trying to figure out where to hang this beauty and have already started using the pin cushion! Hooray! All finished for this month with the Rainbow Scrap Challenge! When I pulled my purple fabrics out of my scrap box, I was slightly concerned because I didn't have a large selection of light and medium purples. However, when I was sorting through some old project piles, I realized that I had a pile of light and medium purples mixed in with the fabric left over from one of my twin baby quilts. So I mixed in these fabrics with my darks and went back to work! These blocks were much quicker to put together than some of the previous ones since theses have much larger pieces. I really like that end of day block and it would be fun to use on its own in a quilt. Now to wait patiently until the next color is announced! Have a happy week! We are leaving today to go to Arizona for four days to see some spring training baseball games! I will be back on Friday to share my received Rainbow Mini Swap package and to show off the final mini I sent to my partner! I've been working a little bit at a time on my RSC 2016 Farmer's Wife blocks for February. I am continuing to love working on these blocks in purple and yellow! There were LOTS of tiny pieces this month thus far which made me very happy to be paper piecing and not trying to make 1.5 inch HSTs myself! Sometimes there is nothing like a deadline to get your rear in gear. All that I had to do to finish up my Midnight Mystery Quilt was sew the blocks together and then sew the rows together -- a total of NINE seams. Just sitting waiting for me since January. Waiting. So yesterday was the deadline to turn in pictures of finished quilts and finished tops to win prizes as part of the official quilt along, so naturally, I came home from work yesterday and zipped my top together! The top is technically done as is, but I'm considering adding a border or two since I have a lot of the print fabrics left. It either will stay the size that it is -- 72 inches square -- or get bordered up to almost 100 inches square to be a queen sized quilt. 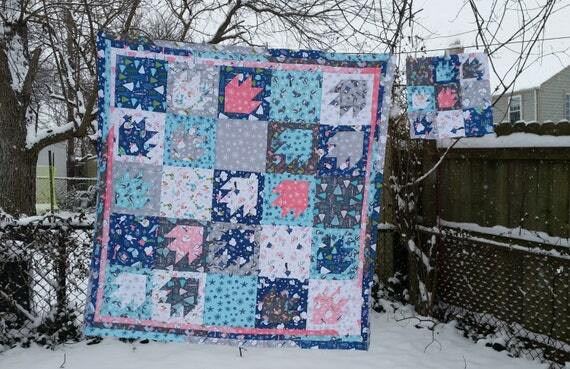 Click on over to Meadow Mist Designs to see the parade of 107 finished quilts and tops!! Happy Wednesday! 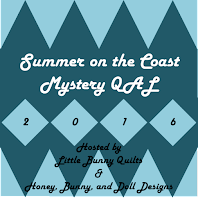 Don't forget to check out the first post for the Summer on the Coast QAL! 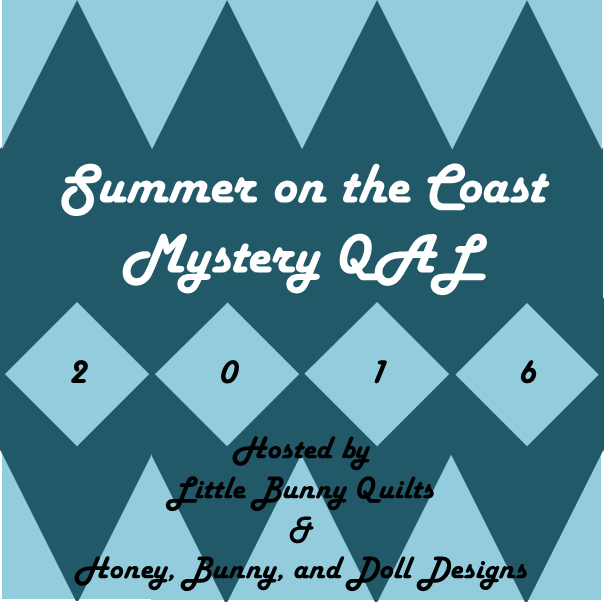 Welcome to Month 1 of the Summer on the Coast QAL! Today we'll be focusing on yardage requirements and fabric selection. Update 1/2/19: Right now, our free patterns are not available due to the changes at Craftsy. We are in the process of moving our pattern shop to Payhip and will let you know when that occurs. This quilt can be made with yardage or scrappy – we’ve included the approximate number of yards you will need with a little bit of wiggle room, but feel free to add a little extra. Note: yardage does not include binding or backing. If you would want to use one of your fabric groupings for your binding, add on an extra half yard for the baby and throw sizes or an extra yard for the twin size. You can choose to use as many or as few fabrics as you choose - your quilt will truly be your own design (with a little bit of help from us, of course!) We would recommend using 4-6 different fabrics, but if you are working from at fat quarter bundle, we can make a few recommendations for that as well. For each unit, we’ll tell you how to pick fabrics in your unit based on what fabrics you have and what fabrics you used where in your previous units! 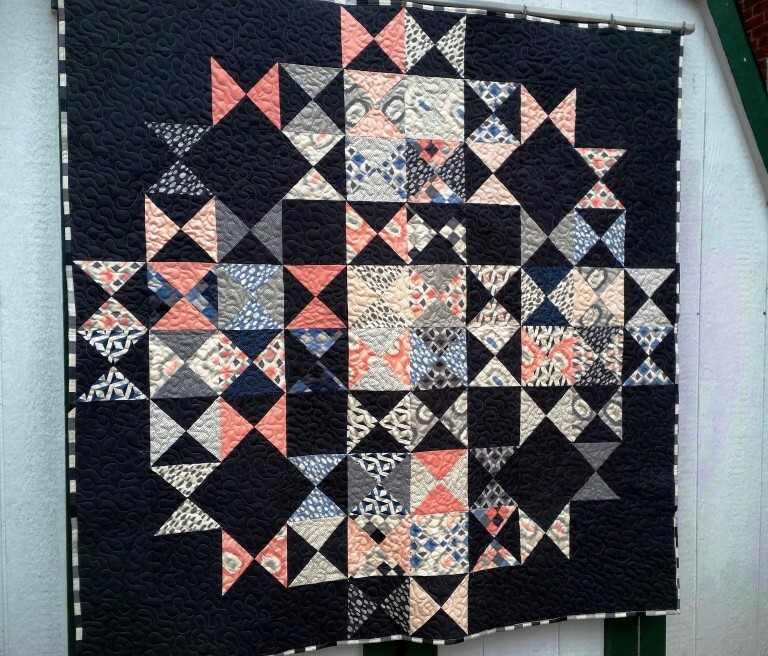 This quilt is completely foundation paper pieced and is designed for even beginner paper piecers to be able to make this quilt. 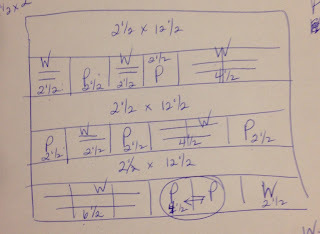 The units will progress from simpler to more difficult. I will give lots of hints and tricks about paper piecing as well as what I will call “pre-cutting” to help save fabric and making some of the units easier to line up. Are you going to join in? 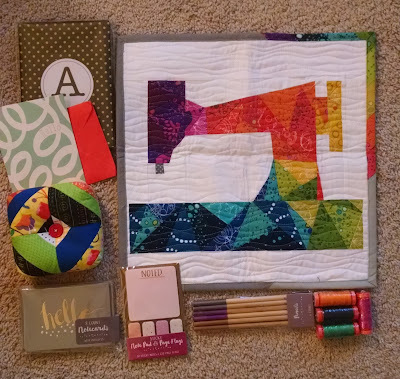 Share your fabric pulls on Flickr in the HBD group or share on Instagram with the hashtag #sotcqal! I was very excited when Angela announced that the March color for the Rainbow Scrap Challenge is purple with accents of yellow! Hopefully this month's colors won't make me think about sweets as much as last month's colors did! I really don't have a lot of medium tones, so hopefully the ones that I have can be stretched to work in a few blocks each. I have a very overwhelming pile of darks! I'm going to have to be a little conservative with my yellows because this is the entirety of my yellow scrap pile. So when my yellow month comes around, I might have to cut into some yardage or buy some fat quarters. Oh the horror! From this point forward, I am planning to paper piece everything. I found last month that it was so much easier not to fiddle around with sizes myself and to just use the paper pieced foundations so paper pieced they shall be! Looking forward to making a few more blocks this weekend! Sharing at Scrappy Saturday and Oh Scrap! I can finally show you all of my received Stash Bee blocks from when I was Queen Bee in January! Aren't they all just darling? Now I have the tough decision on how to put this top together. I have 15 blocks and the arrangement shown above gives a slightly wider than square setting which could easily be remedied to be square with some variations in sashing width. 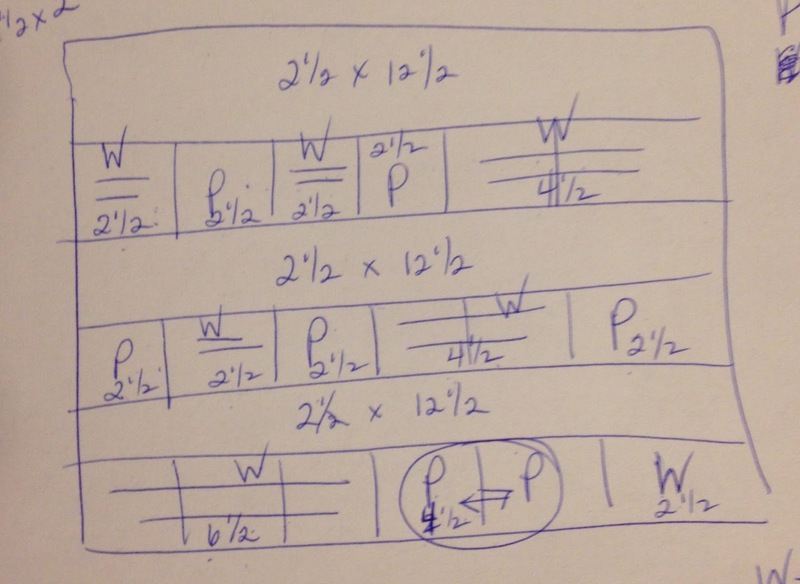 If I add a block and go 4x4, it ends up really long and narrow. What do you think? I'm in desperate need of some input so I would love to think what you think!